Paul Collopy had the final two years of a four-year sentence suspended. 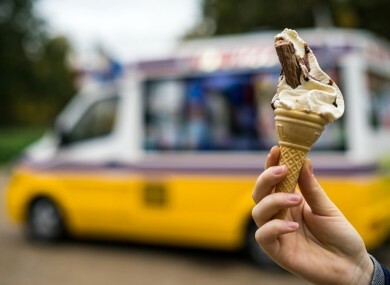 AN ICE-CREAM van driver who sold cocaine as well as ice-lollies to customers, has been jailed for four years with the final two years suspended. Paul Collopy used his ice cream van as a cover for a major drugs distribution business, Limerick Circuit Court heard. Collopy, (41), of Glenbrook, Bloodmill Road, Ballysimon, Limerick, started out in life earning money delivering coal from a horse and cart, the court heard. He pleaded guilty at Limerick Circuit Court to possessing cocaine for sale or supply. Collopy dropped a spoon and a weighing scales on the ground, outside his home, when gardaí swooped on the property on 25 November, 2014. At the time, he was attempting to conceal a lunchbox, which contained cocaine, between the engine and bonnet of his van, the court heard. Detective Garda David McGrath, Limerick Garda Divisional Drugs Unit, said Collopy was selling ice-cream from a fleet of vans in public parks and sporting venues around the city. “He was effectively caught red-handed,” the detective said. Gardaí discovered over €6,000 of cocaine under the hood of the van, and inside “a money bag”, which was located near a window where ice-creams and ice pops were sold to members of the public. The money bag also included two “tick lists” containing the names of customers, “who owed money for drugs”. A drugs invoice found in the van showed €45,000 of cocaine had been sold. Gardaí also recovered €5,000 cash in Collopy’s house. Collopy, whose family have no criminal connections, had amassed 70 previous convictions. He was jailed for five years in December 2007 of selling €17,000 of cocaine. Three years after his release in 2011, he was caught by gardai in Ennis with €28,000 of heroin for which he received a four-year sentence, after the final two years of a six-year term was imposed. Detective Garda McGrath described Collopy as a “chronic cocaine and crack cocaine addict”. “My own opinion and the opinion of the divisional drugs squad would be that he is a drugs wholesaler rather than a street dealer,” the detective told the court previously. “He would be giving the drugs to others to break down for street dealing,” he added. The court heard Collopy, a father of three, was “selling drugs to break even,” adding that “he had a €200 a day drug habit”. State prosecutor John O’Sullivan said Collopy had come from “a good family with no criminal connections”. “He was working from the age of twelve drawing coal on a horse and cart, and later in his own pick-up truck,” he added. The court heard Collopy was now drug-free, and had achieved music and cookery certificates while in prison on remand awaiting sentence. Today’s sentence is to run consecutively to the four-year sentence imposed at Ennis Circuit Court last June. Email “Man who used ice cream van as cover for cocaine business gets two-year sentence”. Feedback on “Man who used ice cream van as cover for cocaine business gets two-year sentence”.